Of course, we support the art of Bourbon-themed gift giving year-round, but with Valentine’s Day just around the corner, what better time to share with you our tips to make the holiday perfect for you and a loved one. Give Bourbon. This is an easy one. And we have three choices to make every moment more mellow. You can take a look at the full lineup in detail here. Yellow: A worldwide favorite, especially when creating mixed drinks with a sophisticated, contemporary flair. Small Batch: Four original Bourbon recipes have been expertly selected by our Master Distiller Brent Elliott at the peak of maturation to create a perfectly balanced Bourbon. Single Barrel: A premium Single Barrel Bourbon with a taste you’ll want to savor again and again. Take your loved one on a trip. Might we suggest our beautiful Distillery or Warehouse & Bottling Facility in Kentucky? After learning how we handcraft our award-winning Bourbon, we’ll give you some to taste. Four Roses Distillery: Located in Lawrenceburg, Kentucky, the Distillery was built in 1910 and features a unique Spanish Mission-style architecture rarely seen in Kentucky and is listed on the National Register of Historic Places. Learn more about what is currently offered on the tours here. Warehouse & Bottling Facility: With a visit to Cox’s Creek, Kentucky, you will have the opportunity see firsthand how Four Roses Bourbon is stored and bottled. Learn more about what is currently offered on the tours here. Choose a unique gift from our new online shop. We’ve really got it all. From kitchen and barware to apparel, jewelry and other accessories, there is surely something special for every Bourbon lover. Check it out here. Handcraft a Four Roses Bourbon cocktail or meal. Want to make things even more mellow? View some of our signature cocktails here and mix one up at home. If you are feeling bold in the kitchen, go ahead and whip up a recipe from our collection. Four Roses Bourbon Glazed Beef tenderloin or Four Roses Bourbon Brownies anyone? Check it out. 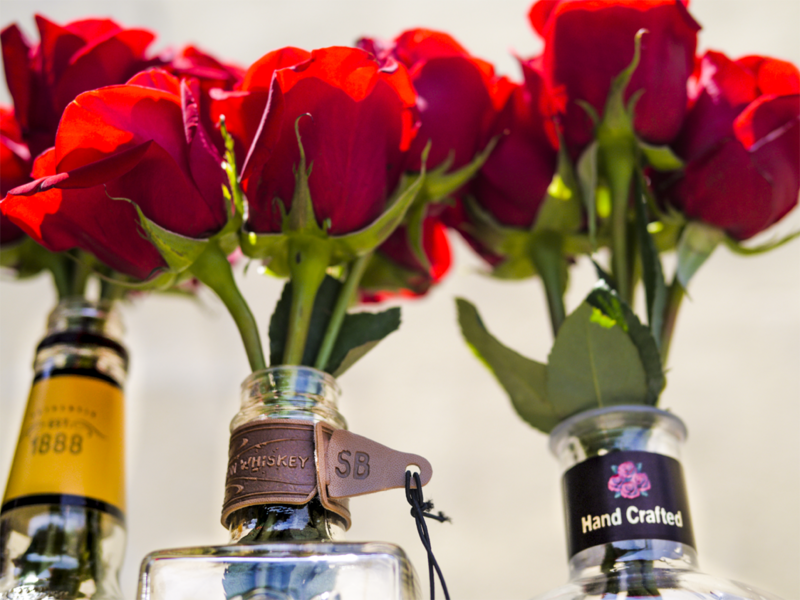 Cheers to handcrafting the most wonderful Valentine’s Day with Four Roses!